VICTORIA — He’s the reigning Vancouver Island AAA MVP in one sport. In another, at it’s 2017 B.C. AAA championship tournament, he was the event’s second-leading scorer. And finally, in the sport of basketball, the one he calls his speciality, he is easily among a handful of the best long-range shooters our province has seen in the last half century. No. We’re not talking about the guy enshrined last month in the Basketball Hall of Fame. 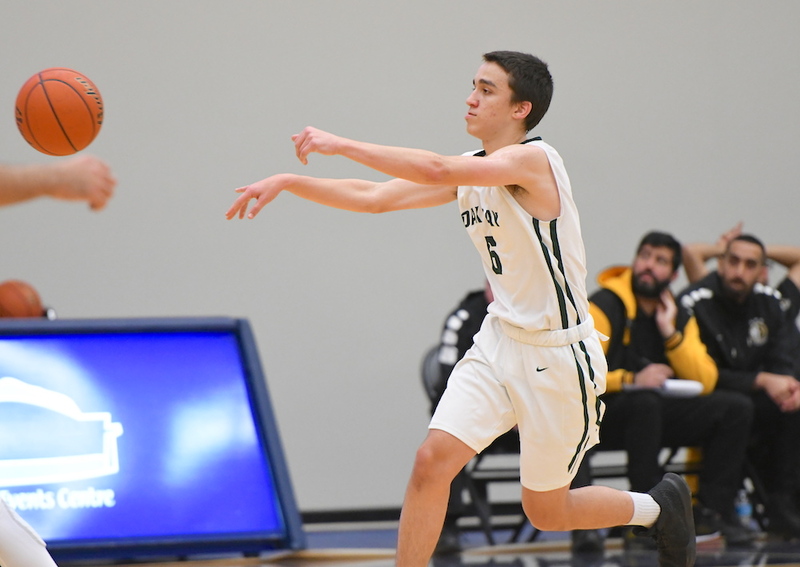 Yet if you’re looking strictly at high school-level comparables, Oak Bay Secondary’s Diego Maffia comes as close as any B.C. high school multi-sport athlete in recent memory to fashioning a Steve Nash-like athletic resume. The point here is certainly not to continually search for that next Nash. That’s not fair to anyone. Yet if you consider the former St. Michaels University School point guard, who did more than dabble in both rugby and soccer to be the forerunner of the old-school-turned-cool movement towards anti-specialization, then fellow Victoria-native Maffia is the current generation’s shining example. And to prove it, we spent some time recently with the Bay’s 6-foot-1 Grade 12, not so much to talk hoops, but to talk about the shared qualities of a great multi-sport athlete. The setting: UBC’s Student Recreation Centre gymnasium complex. 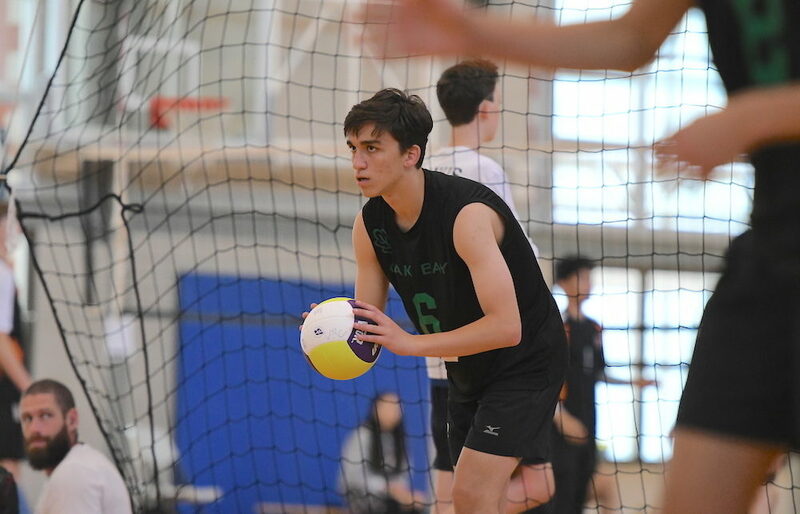 The event: The 2018 UBC Mizuno senior boys volleyball tournament. Turns out Maffia is not only set to have a LeBron-like season on the court with the basketball Bays beginning in late November. 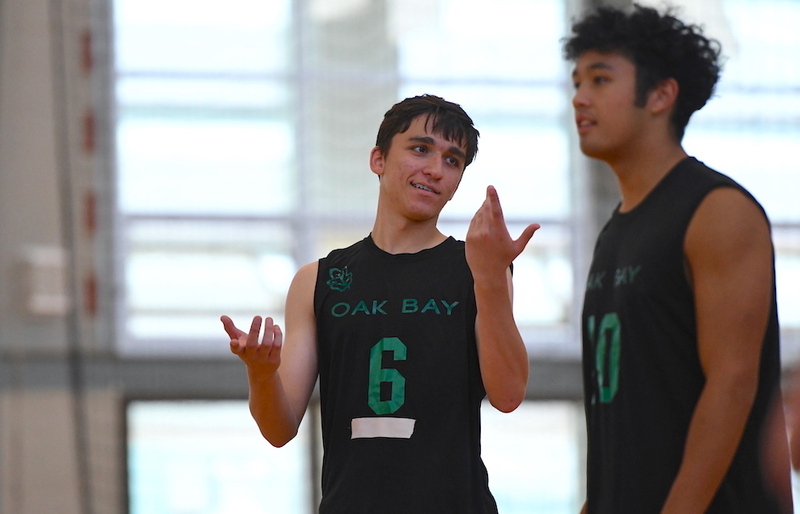 In fact on the recent day in question, we watched as he took to the court as the starting setter for the Oak Bay Barbers provincially-ranked AAA volleyball team. And let’s also not forget that he was the second-leading scorer last season for the Oak Bay Bays soccer team at the AAA provincial tournament. 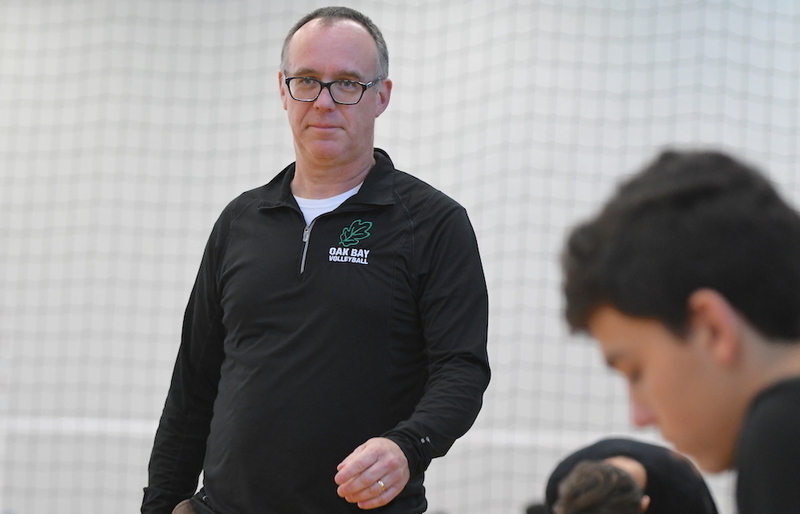 When Allan Carmichael makes a point, you tend to listen, especially if you’re aware that Oak Bay’s head volleyball coach has been coaching his sport for the past 34 years. Bring up the fact that last season, en route to earning Vancouver Island Triple A championship tournament MVP status, Maffia played a completely different position than the one he is playing this season, and it’s almost like you’re setting a perfect attack. Maffia, in fact, has never had to be coached up or bogged down by any of volleyball’s technical minutiae. He became Island MVP as a right-side hitter by observing and then performing. And now he’s doing the same thing as a setter. “There is the fast-twitch muscle side of it,” Carmichael begins of Maffia’s blessed athletic DNA, “but there is also a genetic side in terms of his athletic intelligence. For his part, Maffia cops to his volleyball plagiarism because it’s his way of tipping his cap to the skills of younger brother Lucas, who this season has joined him as a Grade 10 on the Barbers’ senior varsity. Carmichael references a recent interview with Montreal Alouettes’ quarterback Johnny Manziel as he returned back to the starting huddle following an injury. “He talked about how the game was starting to slow down for him,” Carmichael began, relating the comment to Manziel’s growing level of comfort within the larger expanse of Canadian football’s three-down environment. The soccer Bays opened their Vancouver Island AAA league season recently, and if you happened to catch the action, you no doubt noticed the sublime play of Oak Bay’s striker after he scored three goals in a season-opening 5-1 win over cross-city rival Belmont. Yup, Maffia, who last season fell just shy of claiming the Golden Boot as the top scorer at the B.C. AAA high school soccer championship tournament. OK, so it’s not Nash earning MVP status after leading Mt. Douglas to the 1990 B.C. AAA high school soccer title, but the point is taken. Maffia is so busy, however, that while he is talking to a number of universities to plot his post-secondary basketball-playing destination, there is also the matter of pulling down a steady stream of A’s and B’s in the classroom while practicing and playing both soccer and volleyball, whose seasons overlap, and basketball which begins just before those two end. Try to keep up, if you can. On many days during the week he’ll hit soccer practice after school, volleyball practice by 5 p.m. and then he’ll find a basketball around 7 p.m. and continue to hone a shooting game which is horrifyingly automatic. Yes, in the classroom, but also within a number of different athletic realms.